Safe handling of goods classified as ‘dangerous’ is another service offered by MY Indo Airlines. 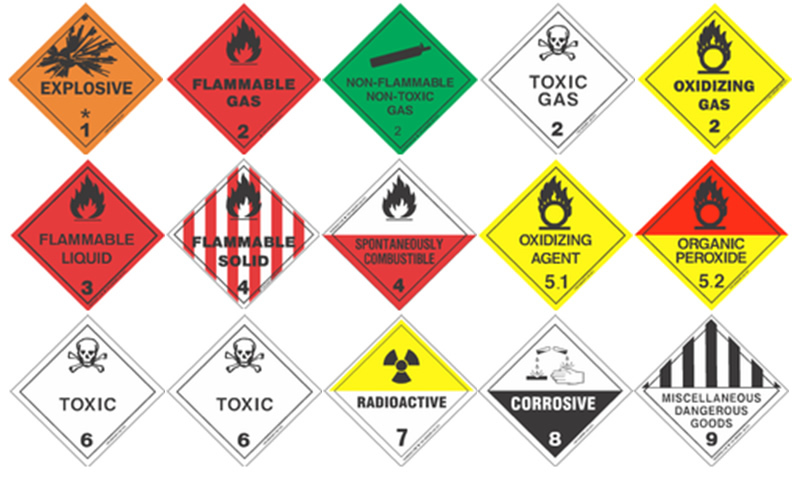 The following are some common items classified as dangerous goods. Such items must always be uplifted as cargo and not as baggage or in postal mail: Fireworks: Signal flares, Sparklers or other explosives. Flammable Liquid or Solids : Fuel, Paints, Lighter refills, Matches. Household items : Drain cleaners and solvents. Pressure containers : Spray cans, Butane fuel, Scuba tanks, propane tanks, Carbon Dioxide cartridges, and self-inflating rafts. Weapons: Firearms, Ammunition, Gunpowder, Mace, Tear gas or Pepper spray. Other hazardous materials : Dry ice, Gasoline-powered tools, Wet-cell Batteries, Camping equipment with fuel, Radioactive materials, Poisons, Infectious Substances. This list is not exhaustive. There are many other items that can be classified as Dangerous Goods when transported by air. We have teams of highly trained licensed staff to ensure that the acceptance, loading and handling of dangerous goods complies with established international regulations. This high level of expertise ensures that we never put our cargo, passengers, crew and the environment at risk. You must comply fully with the IATA Dangerous Goods Regulations when transporting items. You must ensure that the articles or substances are not prohibited for transportation by air. You are responsible for identifying and classifying all dangerous goods, which includes packing, marking, labeling and documentation in compliance with the regulations. You must complete a Shipper’s Declaration for Dangerous Goods and an air waybill must be completed for each consignment of dangerous goods. For comprehensive details on the classification of dangerous goods, and any restrictions, please refer to IATA Dangerous Goods Regulations.